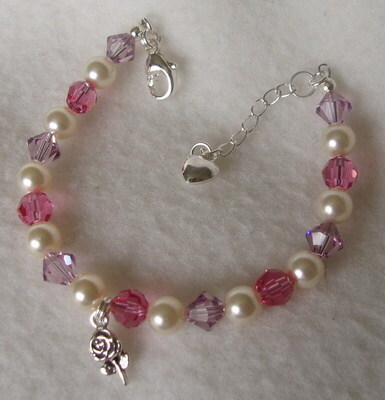 Really beautiful Handmade Christening/Baptism Charm Bracelet. Sterling silver lobster clasp and 1" extender. Choice of 6mm Swarovski crystal & pearl colours. Choice of lengths and sterling silver charm. Lovely keepsake especially when made in Birthstone colours.